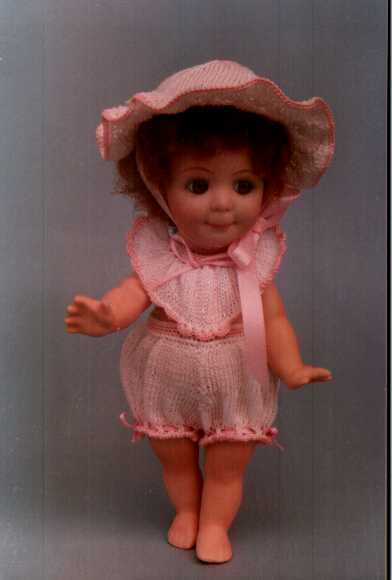 Cousin to Pucker, she is a round faced all bisque doll. Pip stands 6" tall on a porcelain body with moveable arms and legs. She has a bouncy curly wig and either painted or glass eyes. Her sundress is hand knitted with crocheted trim. Pip is signed and numbered by the artist and is limited to 100.